Catered to the diverse new light fixture designs, DoPchoice has come up with tools for tube-style LED lights now offered by several makers. 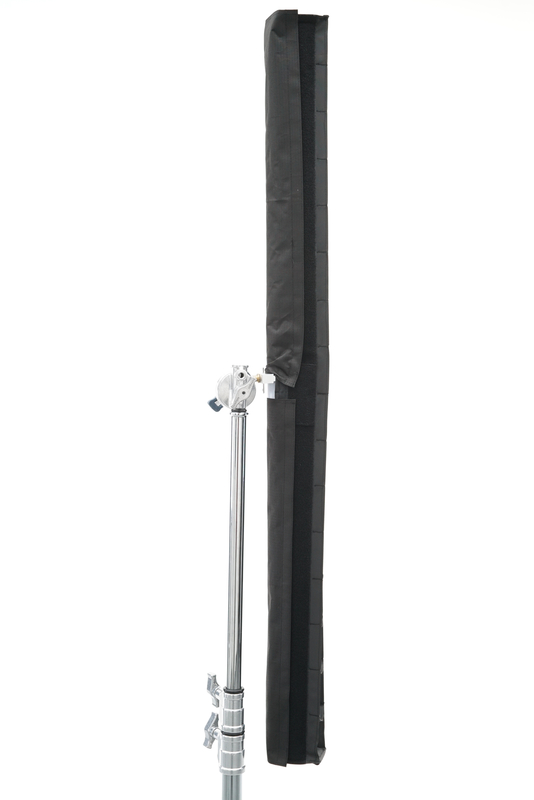 A new version of the SNAPBAG® is the perfect accompaniment for a single slim Astera AX or Titan Tube up to 4’ in length. 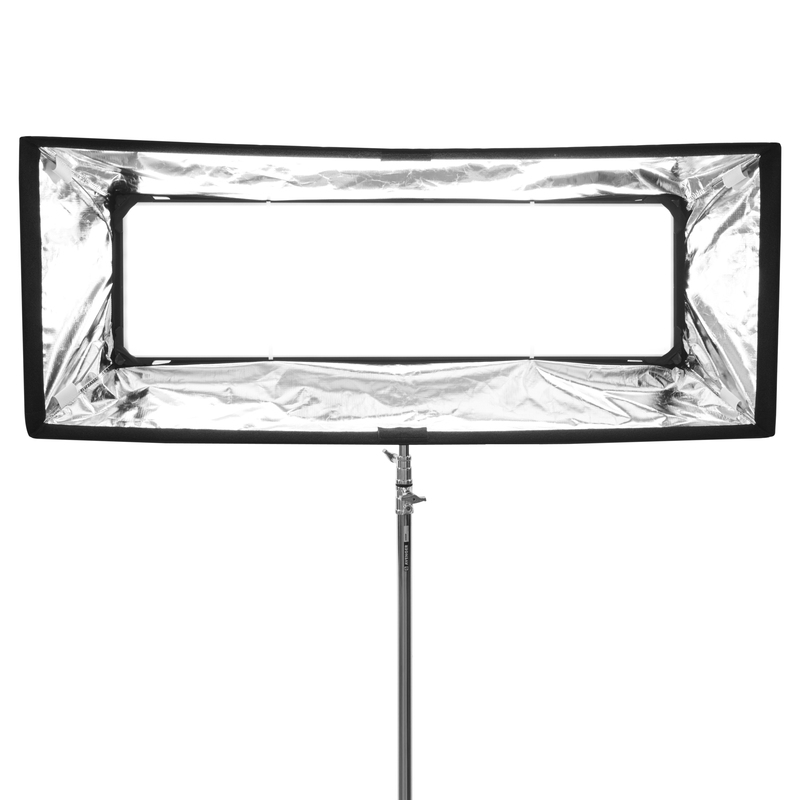 With its cylindrical design, the SBAT41 SNAPBAG is the skinniest soft box out there, plus it sets up in a snap. 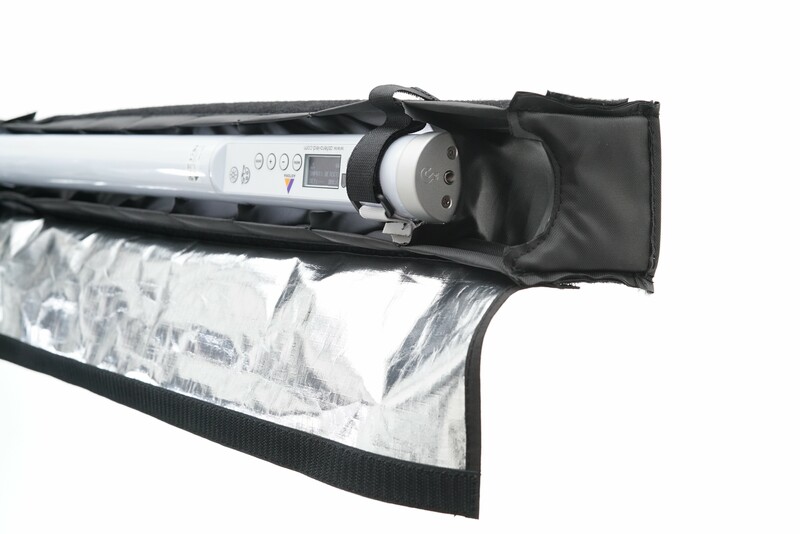 For those who want to combine more tubes, DoPchoice has both SNAPBAG and SNAPBOX™ solutions to get the job done. To use multiple KinoFlo LED tubes with DoPchoice’s SNAPBOX box-shaped snap-up softener, there’s the new 4×4 Frame Adapter that allows use of 8 KinoFlo tubes or 4 with the handy 4×2 blanket-style Adapter. 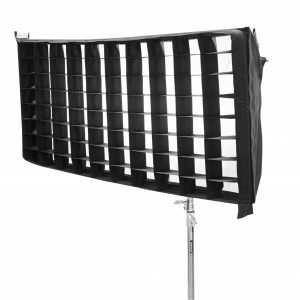 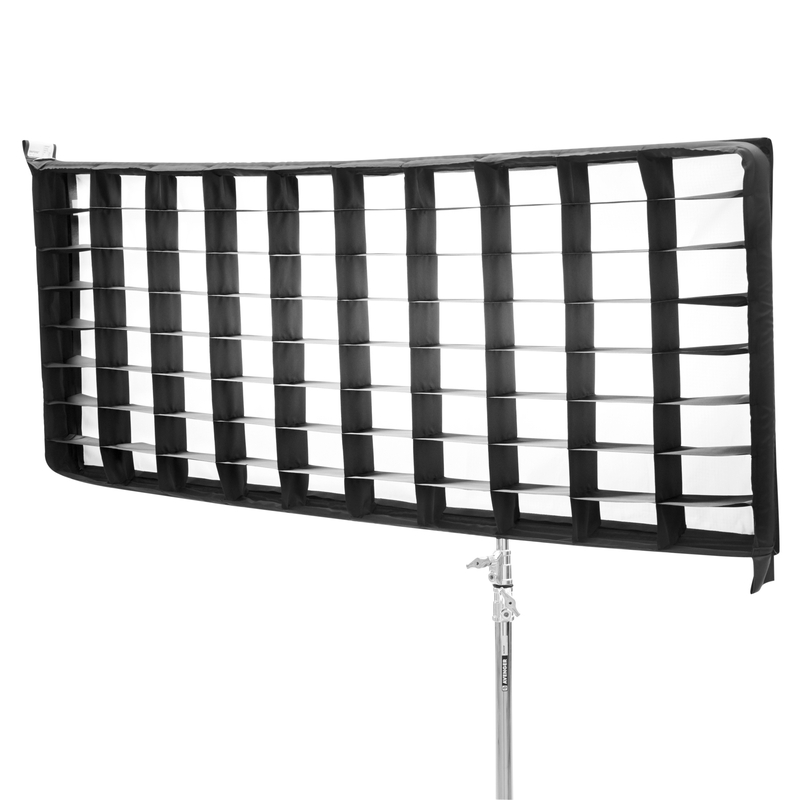 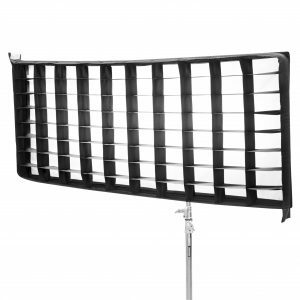 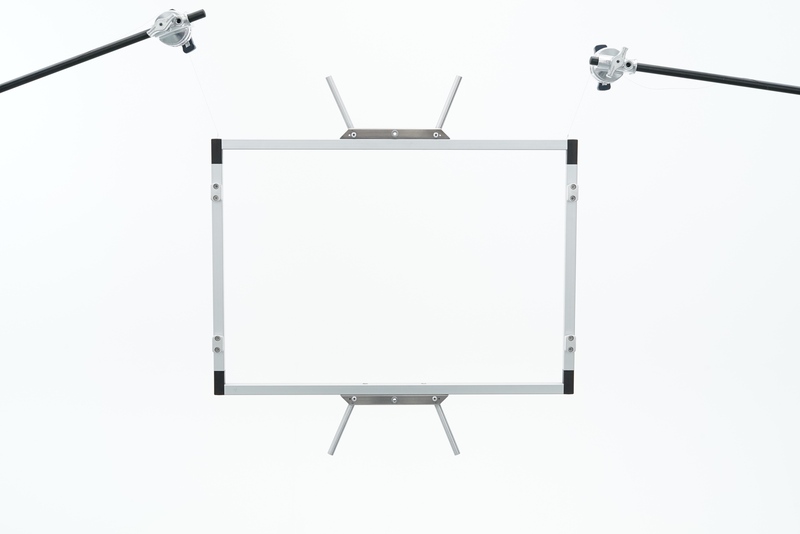 To handle multiple KinoFlo LED tubes DoPchoice devised convenient blanket-style Frame Adapters. 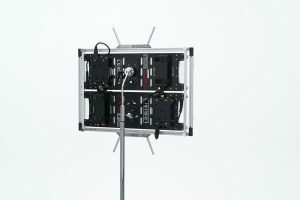 The 4×4 version holds up to 8 Tubes and the 4×2 secures 4 Tubes to the sturdy frame. 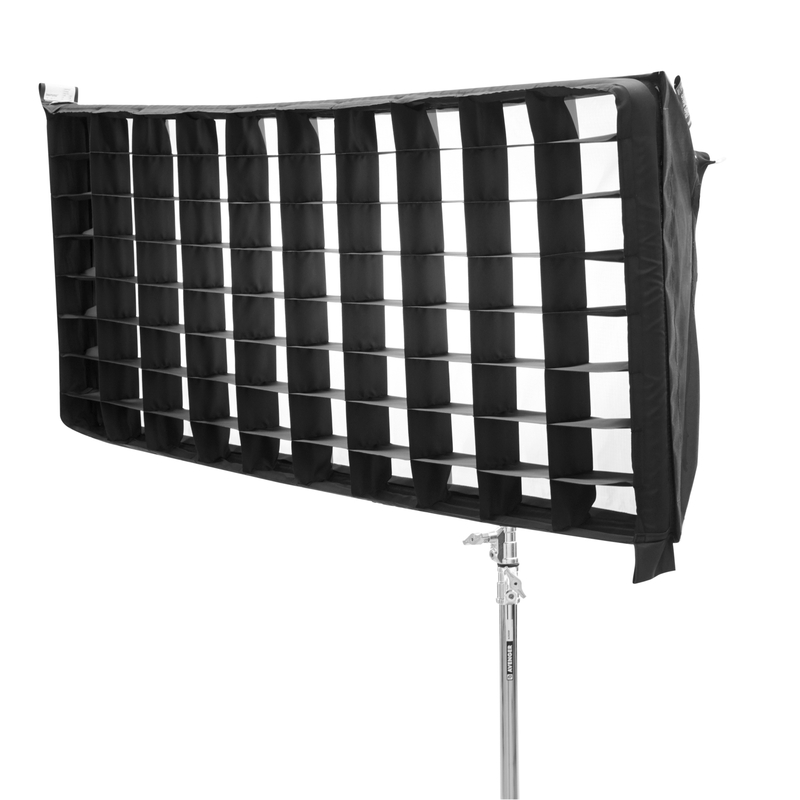 For the ultimate softener, either version slips into DoPchoice’s instant set-up SNAPBOX. 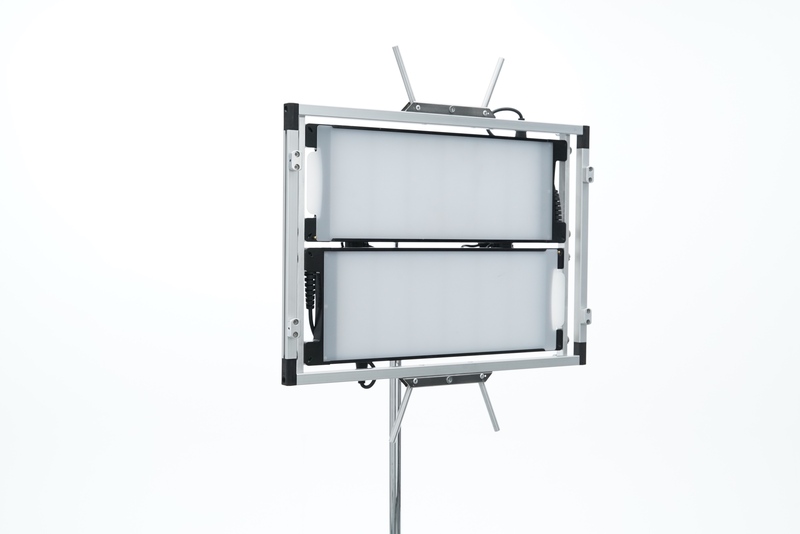 There’s also the new Universal 40-degree SNAPGRID® for single LED tubes up to 4’ long to fit KinoFlo LED, Astera AX1 and Titan, Quasar Science Linear LED, and BB&S 4’ Pipeline. 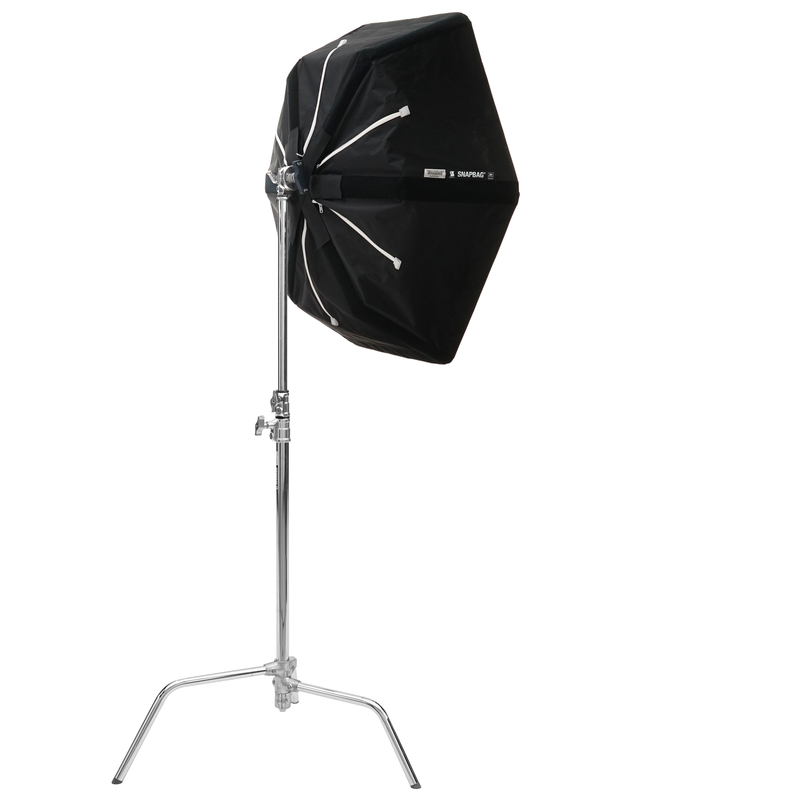 Known for quality stitching, this gear maintains tight corners on every cell. To control spill there’s a built-in protector shield on the rear that reflects stray illumination out the front where it is needed. 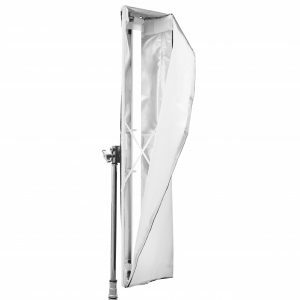 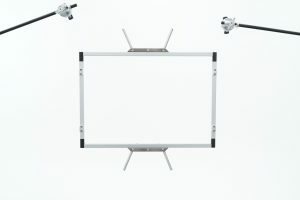 After simplifying soft box mounting with their RABBIT-EARS lightweight folding frames, DoPchoice will unveil their newest, the RABBIT-EARS X-Crossover (SREX). 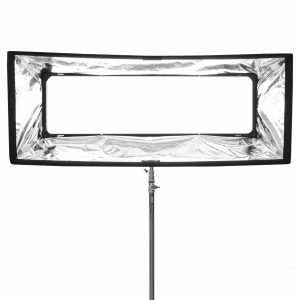 Fully compatible with all existing SNAPBAGS for RABBIT-EARS, this new size (675 x 520mm / 25.86 x 20.47 inch)fills the gap between rectangular and square versions. 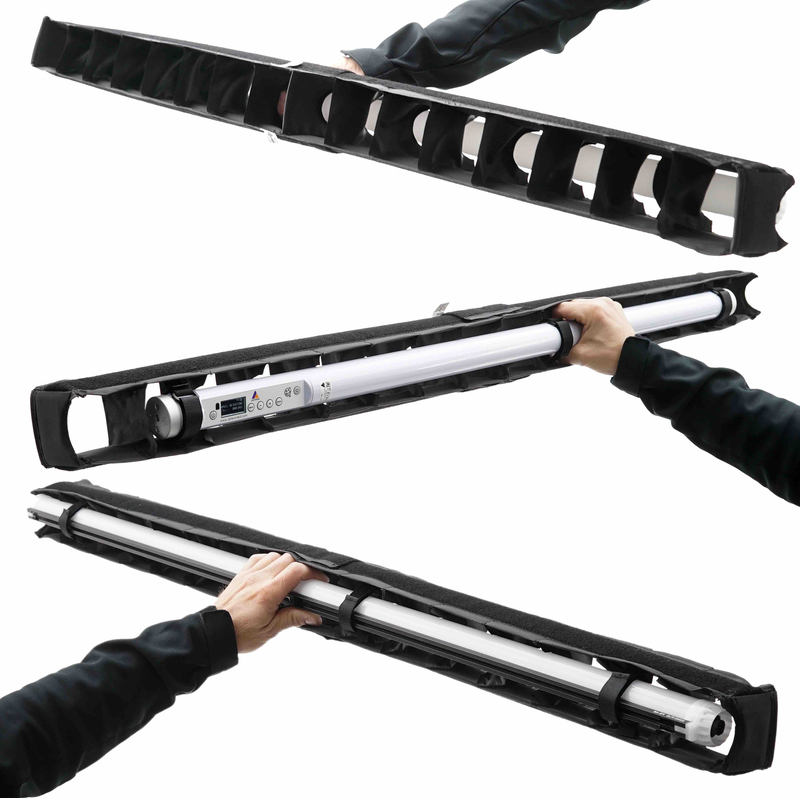 This problem solver can fit either 2 x 1.5-foot lights or multiple light fixtures can be added into this single frame by using adapters. 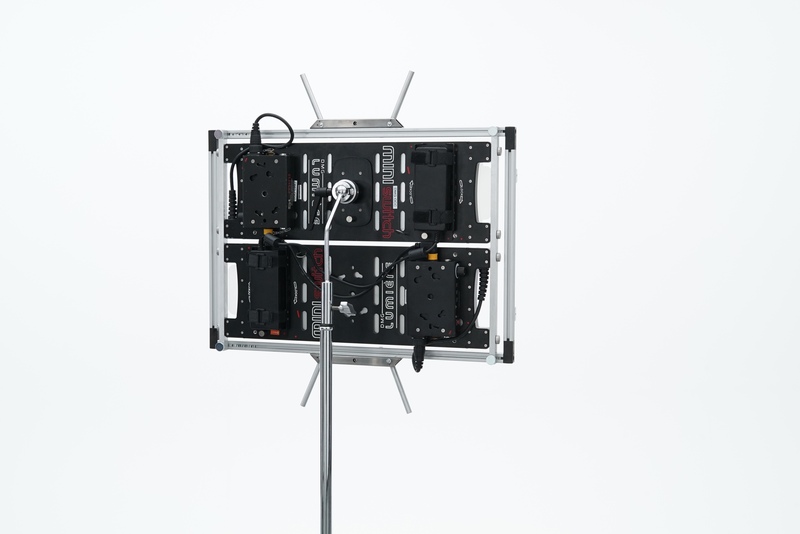 For example, by using DoPchoice’s DMG Mini Mix Adapter for SREX-SL2M, the user can mount two Mini Mix fixtures into one Crossover frame. 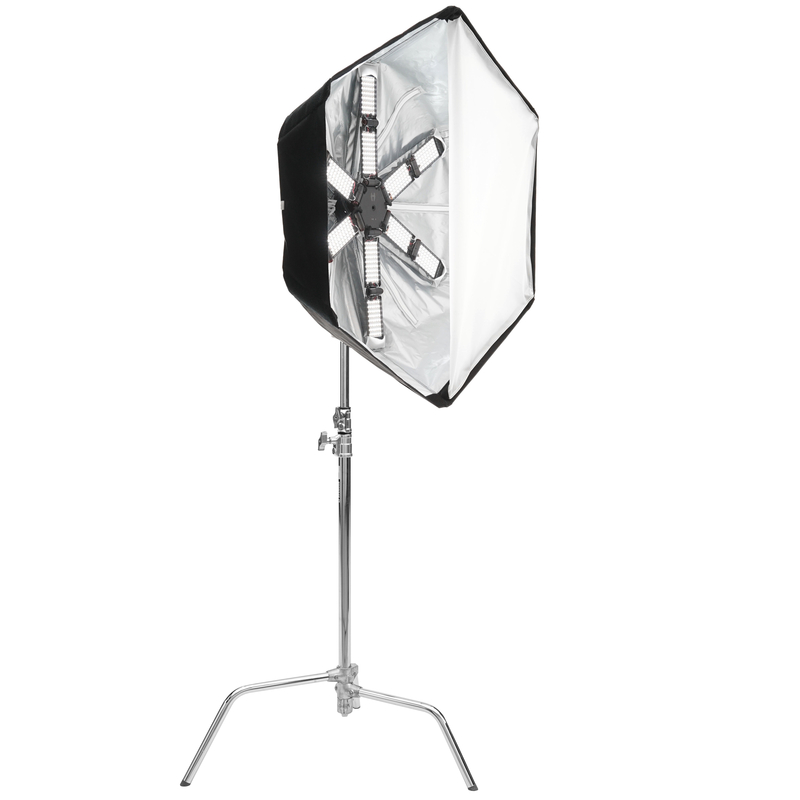 Or with another adapter the same RABBIT-EARS X-Crossover will support a Fargo Lumen 4. 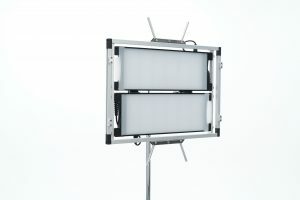 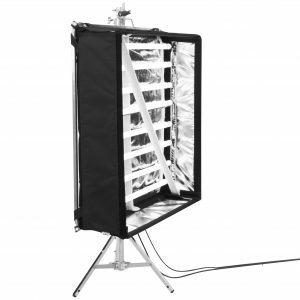 Just in time for the arrival of the DMG Lumière Maxi Mix, DoPchoice has light shaping accessories ready for launch including two types of SNAPBAGS (standard and dome-shaped), and SNAPGRIDS to make the most of this dynamic new LED light. 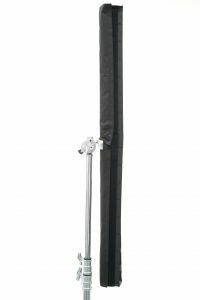 DoPchoice tries to stay one tool ahead. Just as the DoPchoice 3-foot Lantern for the Redback fixture starts delivering, there’s also a new SNAPBAG lightweight quick-setup softener just for Hudson Spider’s new Mozzie.